New Delhi:31/108/18: Anupam Kher has resigned from the post of Chairman of Film and Television Institute of India (FTII). He has done this for his International TV show. He told that due to the responsibility of FTII, they were not able to focus on this. Kher was made Chairman of FTII in October 2017. Anupam Kher’s wife Kiran Kher is a BJP MP from Chandigarh. 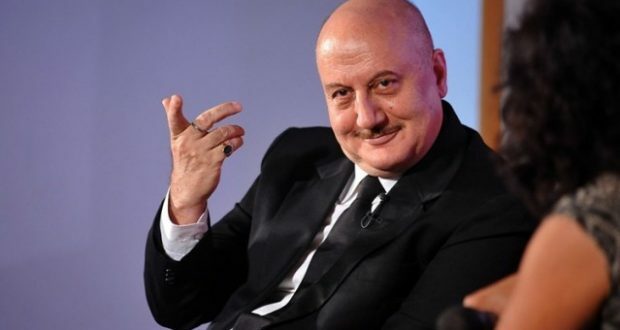 Anupam is also known for supporting BJP. He has taken the side of the Modi Government on many issues. Padma Shri award was given to Anupam in 2004 and Padma Bhushan in 2016. Prior to Anupam, many big Bollywood celebrities have been leading FTII. These include Shyam Benegal, Adoor Gopalakrishnan, Saeed Mirza, Mahesh Bhatt, Mrinal Sen, Vinod Khanna and Girish Karnad.